Riding a reindeer sledge takes place either on skis (being pulled by the reindeer) or sitting in a pulk sled pulled by one or more reindeer. Whether you go with skis or a pulk sled, it can be a really cool experience. If the reindeer is in good shape, it can get good speed, and that may be more than enough for it to hang on around on the track. At Røros, Rørosrein is located just outside the centre. 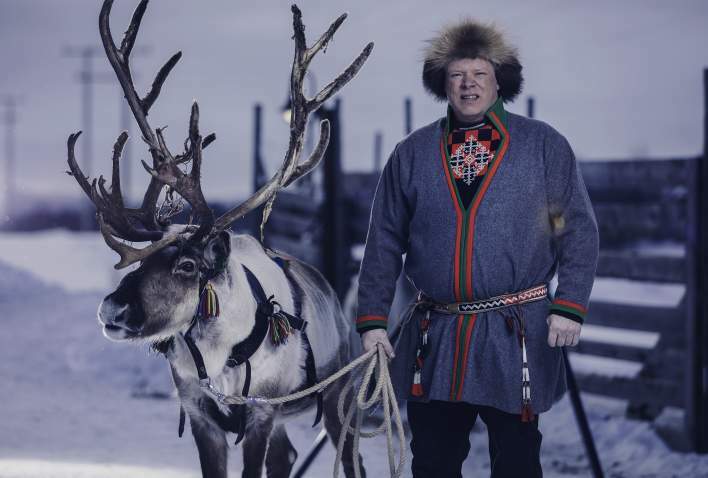 Here you can participate in driving of reindeer, lassoing and feeding, which are all fun and different experiences. In the bilingual municipality of Snåsa in the north of Trøndelag, there is also a considerable amount of Southern Sami people. At Saemien Sijte (South Sami Museum and Cultural Centre), both big and small can try riding with reindeer.